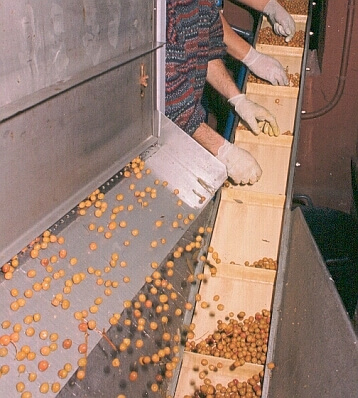 Reception of the olives hand picked from the olive tree one by one and transported in boxes so that they do not suffer any damage. Once picked they are cleaned of remains of dirt. We classify olives according to their sizes and we only use the bigger olives and those that have not suffered any damaged. 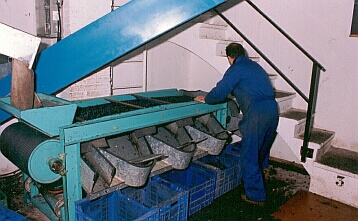 Olives are placed in 150kg. barrels with spring water, marine salt and herbs from wood in order to give them the flavour of nature itself. 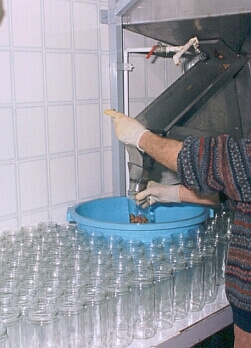 After a time, the olives are ready to be placed in pots and so they are removed from the barrels. 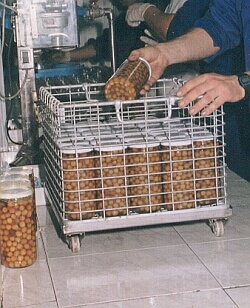 We check the size and quality of the olives that are going to be preserved in pots. 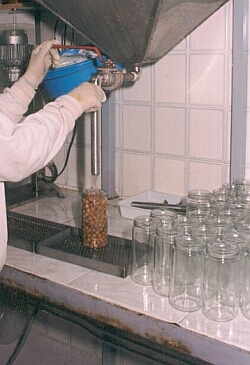 We fill the glass pots with olives of the arbequina variety. 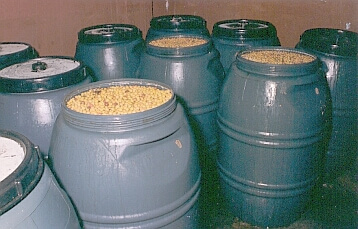 The pots are filled with water (brine), the same water from the barrels, preserving the environment. 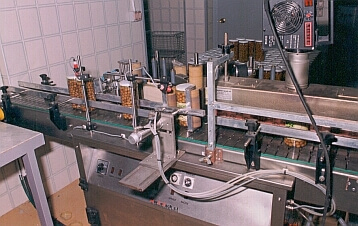 In the same step we put on the tops and seal the pots. 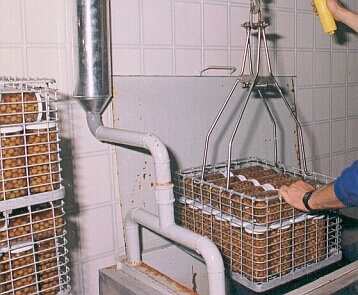 Pots are put in metal baskets before they are put in the “bath” of hot water (bain marie). 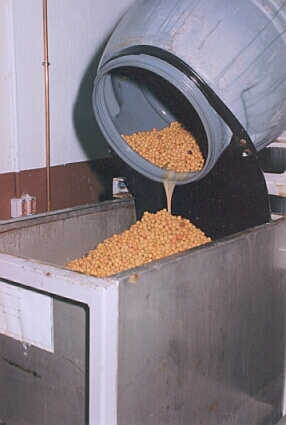 Olives are pasteurized in a hot water bath, so they can be preserved naturally for 2 years, without any kind of preservatives or stabilizers, as our grandmothers used to do at home. Finally we label the pots. 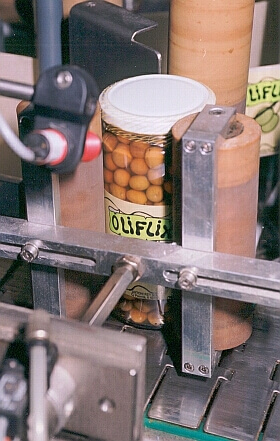 At this point we print on the label the expiration date, contents and the manufacturing number. 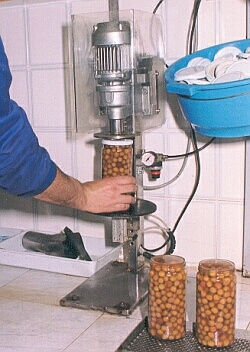 This is the final result of all the process of the elaboration of the olives. The pots are ready to be put in boxes.